I was deeply impressed with the 2012s I tasted in Chablis during my annual trip to the region this past June. The 2012s bring together high levels of ripeness (by Chablis standards) with equally bright, vibrant acidities, a combination that is dazzling. Today, I see 2012 as a more powerful if slightly less polished version of 2010. The wines are also less classically austere and tightly wound than the 2010s, and will likely drink better earlier because of their richness. At the Petit Chablis and Chablis level, the 2012s are unusually generous and pliant, not a bad thing for wines meant to be enjoyed upon release. Overall, the 2012s are a big step up from the 2011s in terms of overall quality and consistency. The finest examples are drop-dead gorgeous. Mother Nature threw the book at growers in 2012. The spring brought with it a devastating frost that was particularly punishing to early-flowering sites on the Right Bank, where all of the Grand Crus are located. 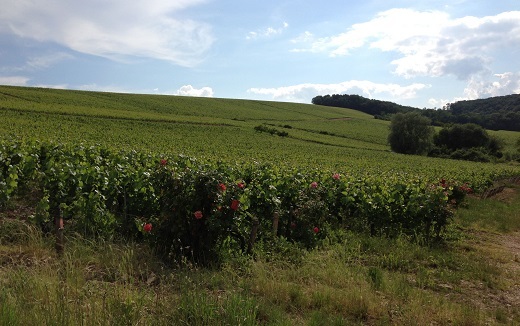 Losses of 30-40% were not uncommon in many of the top 1er and Grand Cru vineyards. Yields were much closer to normal on the Left Bank. Poor weather drew out the flowering to several weeks and also reduced potential yields even further. Heat, and dry conditions in particular, returned with a vengeance later in the summer, especially in August. Some growers reported burned fruit that required sorting, others described the grapes as thick-skinned with little juice. The harvest took place towards the end of September, pretty close to the norm, and a good few weeks later than 2011. Several growers reported very slow fermentations, especially malolactic fermentations. As a result, a few 2012s were still quite raw and less polished from barrel than they typically are. The 2011s I tasted from bottle largely confirmed my impressions from last year. With a few exceptions, 2011 is an early drinking vintage. For more on the growing season and the qualities of the wines, readers may want to re-visit my vintage summary from last year, all of which holds true today. In short, 2011 is a wildly inconsistent year that will require a great deal of selectivity. Specifically, the green, vegetal notes that were present in some wines have only become more pronounced with the passage of time. Another very obvious attribute of the vintage is that at many addresses, the Grand Crus are a big step up from the 1er Crus, something that is not at all the case in 2012, where the qualitative separation between sites is more gradual. It’s hard to know what to do with drinking windows when it comes to white Burgundy. To be sure, as a whole, Chablis has been much less affected by premature oxidation than the Côte de Beaune. DIAM corks are now standard at a large number of top-flight estates in Chablis. Still, aging white Burgundy these days requires a strong stomach and a lot of patience. As I have done for the last few years, I have provided general indications as to when wines will be ready to drink. How long the wines will drink well is much harder to estimate with any certainty. The last four years have not been kind to growers in Burgundy, especially in the Côte de Beaune. On average, it is safe to say that production is down 30-40% for vintages 2010-2012, with losses as great as 90% in some parts of Volnay in 2012. Put another way, that is equivalent to growers having gotten the production of two vintages over three years. That brings us to 2013, which has been as traumatic or worse in many parts of France, including Burgundy. The overwhelming majority of Burgundy’s top domaines are family run businesses. I can’t possibly overestimate just how dramatic the last four years have been to working-class families that are struggling just to survive. That may seem hard to believe given the prices Burgundy’s top wines command in the market, but most of that is captured by the trade and not by producers, most of whose ex-cellar prices would shock readers for their modesty. That is a long preamble for the current situation, in which we are about to see a massive lack of supply of high-end white Burgundy that will last for at least several years. Most of that void is going to be filled by Chablis, where weather has also presented its share of challenges over the last few vintages, but nothing like we have seen in the Côte de Beaune. My advice to Chablis lovers is simple. If you see a wine you like, buy it. There are not going to be too many second chances given the global shortage of fine white Burgundy we will soon witness. This is especially true for the 2012s, the best of which are fabulous and will be in the market when the lack of top-notch white Burgundy will be at its most pronounced. All of the wines in this article were tasted in June 2013.